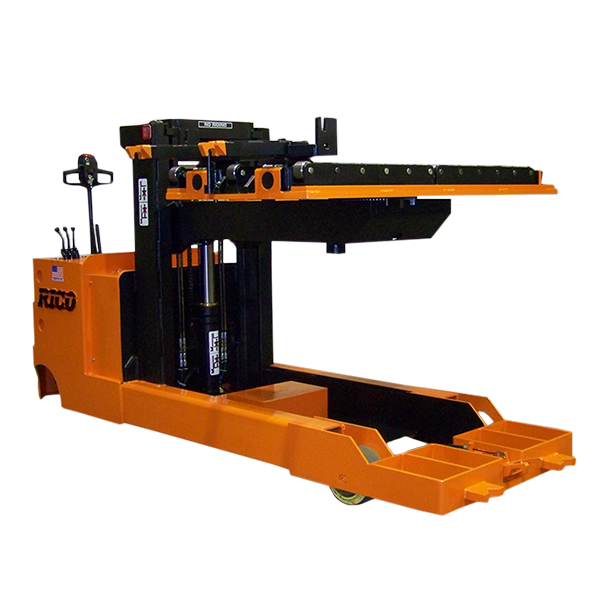 Rico’s rotating die positioner series is designed for Front or side push operation. This design offers greater flexibility and versatility in your die or mold setting operation. All vehicles are custom engineered to meet your specific application and towing requirements. Manual or hydraulic positioning die table. Flexibility for die or mold setting from either side or front push operation. Various die table designs specific for your application Wide upright spread mast for clear operator visibility. “V” docking system for safe secure truck and press alignment Fiber optic camera for error proof docking.